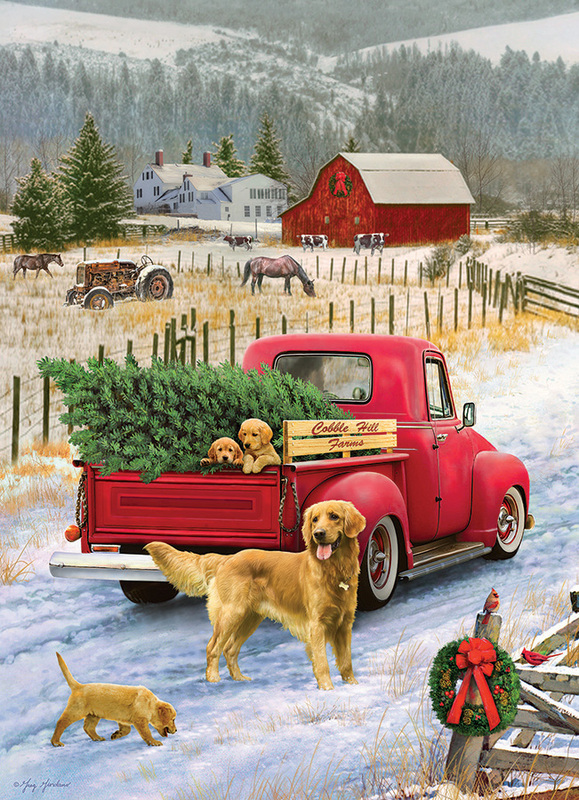 The puppies hitch a ride in the vintage truck to make sure Christmas on the Farm includes a fresh cut tree. A lovely 1000 piece mountain snow scene to enjoy during the winter. Item # 80127 Weight 1.61 lbs.